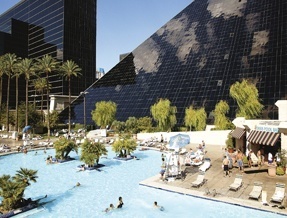 Experience all Las Vegas has to offer with a stay at the fabulous Luxor. Standing an impressive 30 storeys high and guarded by a 10 storey replica Sphinx, the Luxor Hotel and Casino is one of the most popular and memorable hotels in the city. It also features the world's most powerful beam of light (over 40 billion candle power), what more could you want from a Las Vegas hotel? If you choose to stay at the Luxor Hotel and Casino, you’ll find the rooms are large, comfortable spaces with all of the facilities you could need for an enjoyable Las Vegas holiday. Each room is carefully decorated in a rich colour scheme to make guests feel at home, and amenities include TVs, high speed internet access and oversized showers. 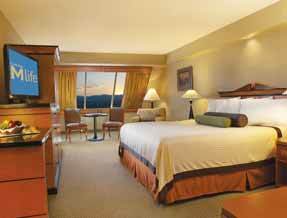 Rooms also have great views – from the hotel’s atrium to the Las Vegas city panorama. Rooms span from the Pyramid Deluxe Room, which can sleep up to four people with either king or queen sized beds – to Suites, which include the Pyramid Spa Suites, with separate living areas and oversized spa bathtubs! 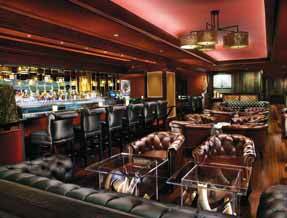 Regardless of the length of your stay, you’ll find you won’t want to leave the surrounds of your room at the Luxor. Dining at the Luxor Hotel and Casino is incredibly enjoyable – from steak to sushi, bar snacks to three course meals, you’ll find something to please everyone at the Luxor’s restaurants. The food court offers a range of snack foods and fast food chain stores, whilst room service can be ordered at any time. If you fancy the best cooked steaks and carefully selected wines, TENDER Steak and Seafood is the place to try. 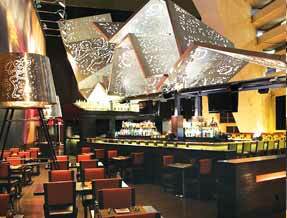 Taco’s and Tequila offer Tacos and Tequila – as well as other tex-mex delicacies and a selection of drinks. Deli food can be found at the Backstage Deli, and frozen yogurts and chilled treats are available from Blizz. Remember, you can always explore the hotel’s bars and nightclubs too – whether you’re looking for an elegant cocktail or a pitcher of beer, you’ll find somewhere to spend your evenings at the Luxor! The four star Luxor Hotel and Casino is the perfect base from which to explore the bright lights of the Las Vegas Strip. The hotel offers all of the facilities a traveller could need during their stay – whether you’re a Sin City virgin or a Las Vegas regular! 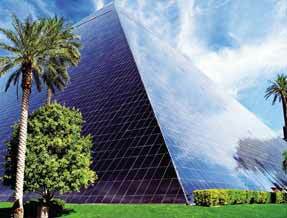 You’ll be unable to miss the ancient Egyptian references, with the gleaming glass pyramid a Las Vegas landmark – but the level of service is definitely 21st century. The Luxor Las Vegas is home to the world’s largest hotel atrium, so once you’ve checked in, make sure you explore the Luxor stores. From Las Vegas fashion to stunning jewellery, the stores offer everything a holidaymaker could need – right down to a 24 hour shop for essentials. The hotel also offers guests access to four swimming pools – with complimentary towels and lounge seating – as well as poolside cabanas for hire if desired! The Luxor’s Spa, Nurture, is an experience worthy of Cleopatra herself. Here, relaxation and rejuvenation are inspired by steam baths, saunas and treatments which include lavender sage scrubs and the signature bergamot and citrus massage. What better way to prepare for a night out on the Strip than a pampering session? 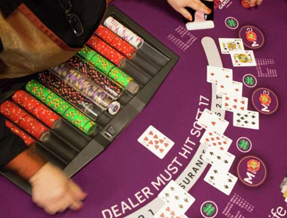 You’ll be sure to have a memorable night at the Luxor – whether you choose to experience the casino, with every type of game you could imagine – or take it easy with cocktails at one of the hotel’s many bars, the choices are endless. You can view a stunning light show of the Aurora Borealis at the Aurora Lounge, or you could experience one of the infamous Las Vegas shows like Criss Angel Believe, from Cirque du Soleil in the Luxor Theatre.